Governor-appointed, the Arkansas Governor’s Developmental Disability Council consist of individuals with developmental disabilities, family members, directors of state agencies that serve people with disabilities and representatives from nonprofit and private organizations that provide services and supports for people with disabilities. The Council’s main objective is to improve the independence and productivity of people with developmental disabilities and to ensure their integration and inclusion into the community. DRA is the federally authorized and funded nonprofit organization serving as the Protection and Advocacy System (P&A) and the Client Assistance Program (CAP) for individuals with disabilities in Arkansas. DRA is authorized to advocate for and protect human, civil and legal rights of all Arkansans with disabilities consistent with federal law. DRA services are provided free of charge. Partners for Inclusive Communities (Partners) is Arkansas’ University Center on Disabilities. 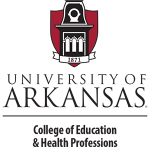 Administratively located within the University of Arkansas College of Education and Health Professions, Partners is a member of the nationwide Association of University Centers on Disabilities. Partners achieves its mission by assessing the needs of individuals with disabilities, then addressing those needs through research, education, community service, training, technical assistance and collecting and sharing information.